We’re delighted to announce the appointment of a Head of Wales, Lowri Griffiths, which is the first time we’ve had a presence in the country. Lowri joins the charity from Macmillan Cancer Support where she was the Policy and Public Affairs Manager for Wales since 2014. At the charity, she gained political cross-party support for a person-centred care approach to the development of the new Cancer Delivery Plan that was launched last year. Furthermore, she spent her time developing the Wales Cancer Alliance, a collaboration of third sector cancer organisations, which has almost doubled in membership over the last two years and is recognised as an influential partner within the cancer community in Wales. Prior to that, Lowri was Head of Communications and External Affairs for the Stroke Association Wales, and Public Affairs Manager at Royal Voluntary Service, Wales. Lowri said: "I am thrilled to have been appointed Head of Wales for Bowel Cancer UK. I’m passionate about making sure that people are at the heart of policy development and already have heard so many powerful and moving stories about how bowel cancer has affected the lives of many. It’s a privilege to be working with them and the wider bowel cancer community here in Wales. 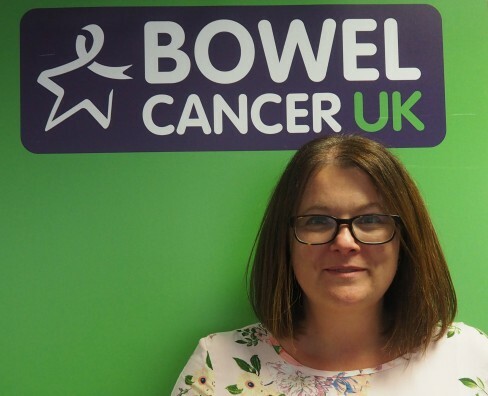 “It’s a fantastic opportunity for me to grow the charity’s presence in Wales and influence national government strategy and policy to help stop bowel cancer in the country”. Bowel cancer is the fourth most common cancer in Wales and second biggest cancer killer. Every year more than 2,200 people are diagnosed with bowel cancer in Wales and over 900 people die from the disease. However bowel cancer is treatable and curable especially if diagnosed early.